Hello to all the people in here from Greece! So what other kinds of gear are you interested in? I saw your Cavalero, cute! I really like the weird stuff that's harder to get parts for, I love the challenge of the hunt, and the payoff is just that much more rewarding! Yes there are many place to dive and many wrecks. Ancient (illegal actually to dive), WWII and modern! The cavalero as i saw it it's a copy from "La spirotechnique" regulators. I liked a lot to dive with this "grandpa"
I am looking for a double hose reg now! I know some old divers and i will ask them to search the warehouse! I collect any kind of old diving equipment but i like regulators. My drug of choice favorite regulators are Healthways. Flickr seems to be down otherwise I'd post some images. Apart from Aqualung/US Divers, you may want to look into Nemrod for a double hose. They're super easy to work on and breathe really well. I'm sure you can find all kinds of stuff I've never even heard of, again welcome and I hope to hear more from you. If I have the chance I'd love dive In Greek Waters! I love this form and have learned a lot! 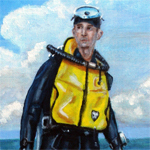 Glad you found this forum lots of interesting people here all willing to help with any vintage dive kit you might find in your part of the world. Had the chance to work in Kalamata a few years ago and found Russian dive stuff in a local garage. This is the U.S. 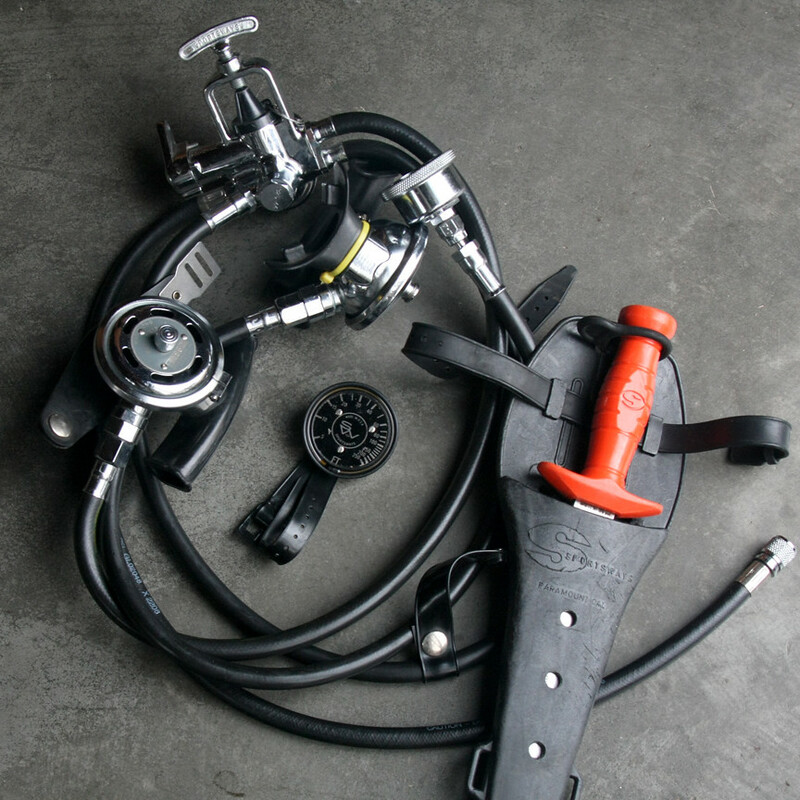 Divers Company DX Overpressure Breathing regulator. This was the first single stage U.S. Divers Company regulator, the predecessor of the Stream Air (and Jet Air) and the Mistral. It has been rebuilt, with new hoses, re-chromed boxes, and a later, Mistral extended yolk. This allowed a banjo fitting to be used for a submersible pressure gauge (which has been plugged in this photo). But it retains the "hose-within-a-hose" concept for the Venturi. Fred Roberts said that the Mistral's orifice "approached" the performance of the DX Overpressure Breathing regulator, without the problems of this concept.